On Christmas Eve 1741, a small group of Moravians and their benefactor, the German Count Nicolaus Zinzendorf, held a religious service to christen their new settlement. After observing the singing and atmosphere, Zinzendorf declared the new settlement to be known as Bethlehem. The fact that Bethlehem is known Christmas City USA is only surprising in that the moniker wasn’t coined until 1937. 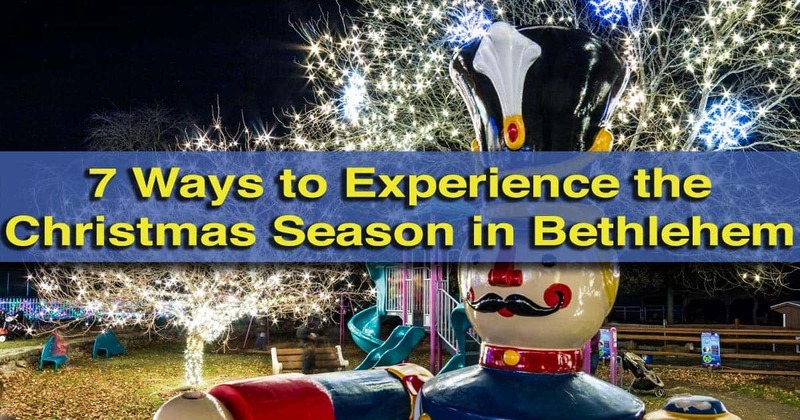 Today, Bethlehem is one of the best places to experience the holiday season in Pennsylvania. 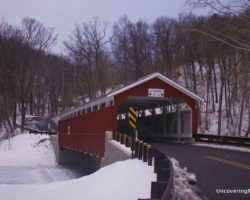 Having had a chance to experience the Christmas season in Bethlehem, Pennsylvania, here are a few of my top suggestions for things to do during this festive time of year. Check out our top picks for Christmas things to do in Philadelphia, Pittsburgh, Lancaster, and the Harrisburg/Hershey area. 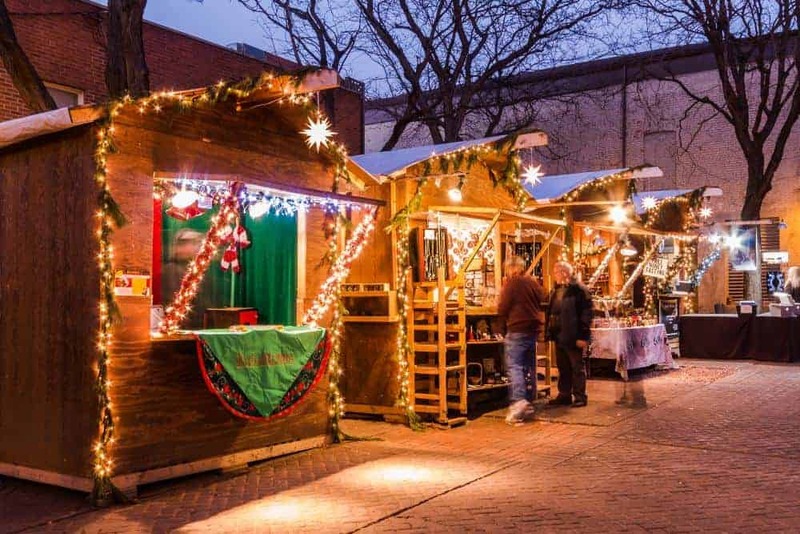 Christmas City Village is a great destination for gifts in downtown Bethlehem. While Bethlehem’s Christkindlmarkt might be better known, the Christmas City Village is much more authentic. Held downtown, this German-inspired Christmas market is held at two different locations along Main Street on Fridays, Saturdays, and Sundays during the holiday season. Browse this free-admission Christmas market for handmade gifts from a variety of great sellers. And even if you’ve visited once, head back again later in the season as new vendors are added throughout the event. For more information, visit Downtown Bethlehem’s official website. The Moravian Book Shop is the oldest bookstore in the world, but it sells much more than just books. While downtown Bethlehem is filled with many great shops, none are as historic as the Moravian Book Shop. Established in 1745, it is known as the oldest continually-operating bookstore in the world. However, this shop is so much more than a bookstore. 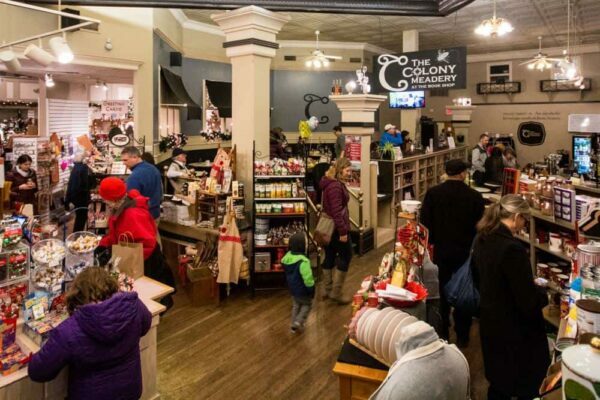 Inside, visitors can sample delicious meads, enjoy chocolates, and browse a great collection of holiday merchandise and Bethlehem souvenirs. That’s in addition to being one of Pennsylvania’s best independent bookstores. For more information, visit the Moravian Book Shop’s website. 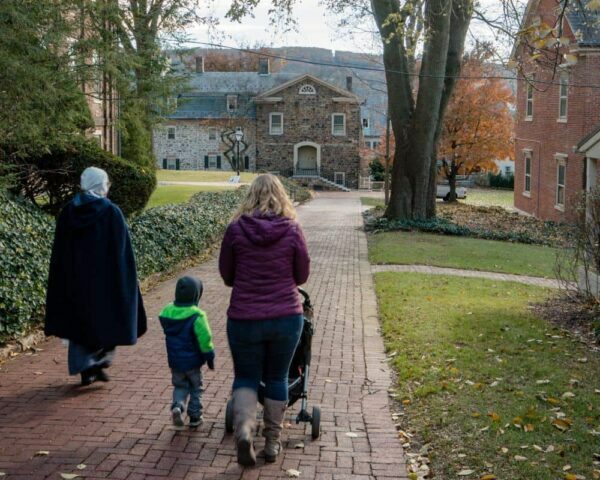 Take the Christmas City Stroll to learn more about the history of Bethlehem, PA.
During the holiday season, Historic Bethlehem offers a variety of tours to help get you in the Christmas spirit. If you’re looking for a short, but in-depth overview of the city’s historic core, the Christmas City Stroll is a great choice. This hour-long tour is offered two to three times each afternoon from Wednesday through Sunday. Costumed guides take visitors on a walk through downtown Bethlehem discussing the city’s Moravian roots and how it became known as Christmas City USA. 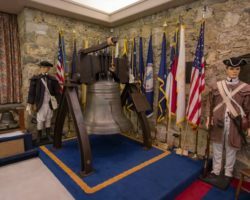 For more information, visit Historic Bethlehem’s website. 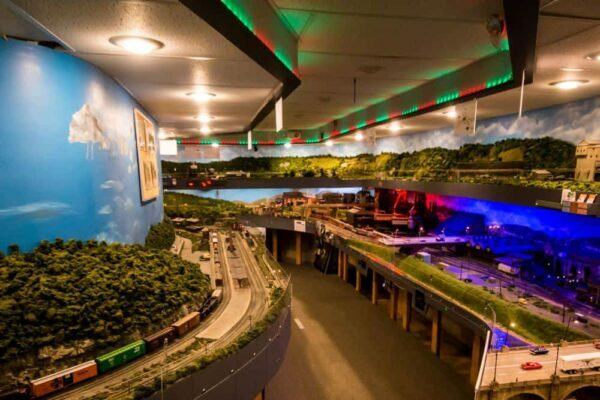 Visit the Lehigh and Keystone Valley Model Railroad Museum for their annual open houses. While the Lehigh and Keystone Valley Model Railroad Museum might not be a holiday attraction per say, they have greatly extended hours during the holiday season making this a great place to visit while exploring the Christmas attractions in Bethlehem, Pennsylvania. The railroad is located in a 5,000-square-foot building and features a doubled-decked layout of three local train lines. Compared to some other train exhibits, the Lehigh and Keystone Valley Model Railroad Museum focuses on recreating these rail lines in great detail, featuring many historic sites and buildings that are still standing throughout eastern Pennsylvania and New Jersey. Fegly’s Brew Works offers delicious beers throughout the holiday season. 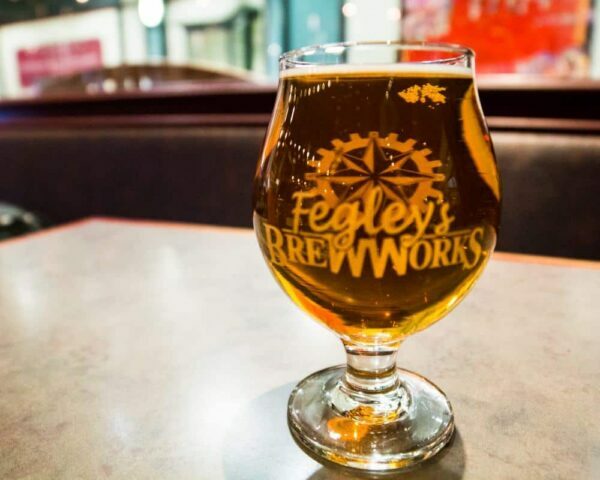 Fegley’s Brew Works has been brewing delicious beer and crafting great food since they first opened in 1998 in downtown Bethlehem. Today, the brewery (and its second location in Allentown) features delicious beers throughout the year. However, those wanting to taste the holiday season won’t want to miss Rude Elf’s Reserve (or its bourbon-barrel aged cousin) which is only offered during the holiday season. Find out more about Fegley’s on their website. Explore a magical wonderland at the Winter Light Spectacular. 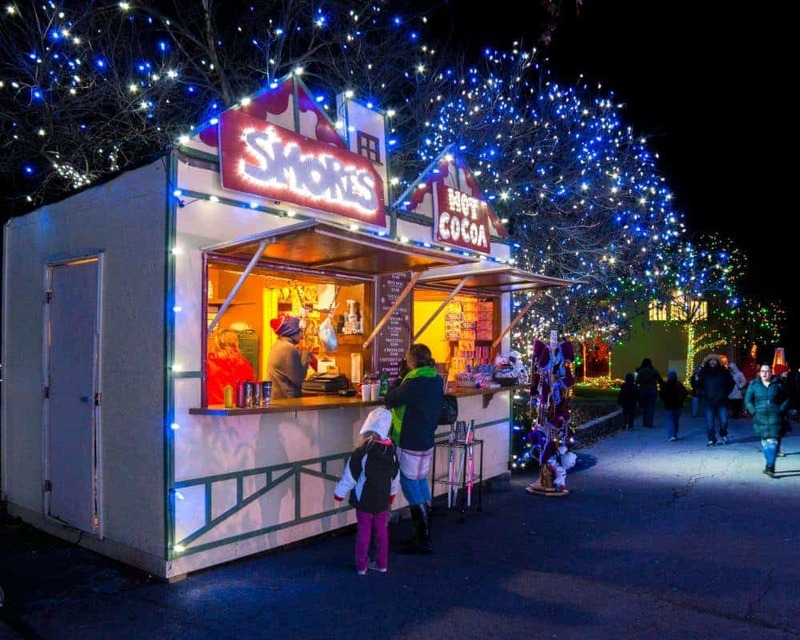 Located about 30 minutes northwest of downtown Bethlehem, the Lehigh Valley Zoo comes to life at Christmas time with their Winter Light Spectacular. Featuring more than a million lights, visitors can walk through a variety of holiday-themed scenes throughout the zoo. Characters including the Grinch, Elsa from Frozen, Woody from Toy Story, and even Santa can be found throughout the exhibit. For more information on this great fundraiser for the zoo, check out our piece about the Winter Light Spectacular. Note that other than a handful of reindeer and sheep, the zoo’s animals are not on display during the event. Downtown Bethlehem really comes to life after dark. While Bethlehem is beautiful during the day, it’s even more beautiful after dark during the holiday season. 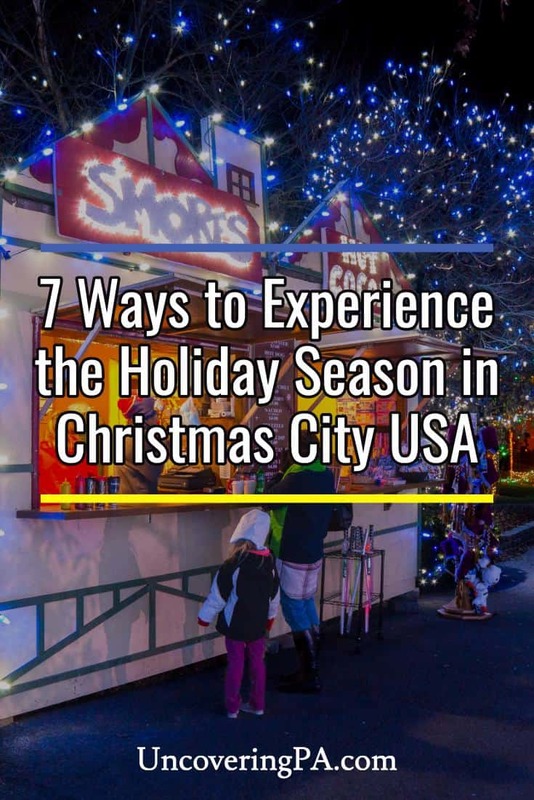 Lights decorate the lamp posts, trees, and store fronts in this area, creating a magical Christmas wonderland. 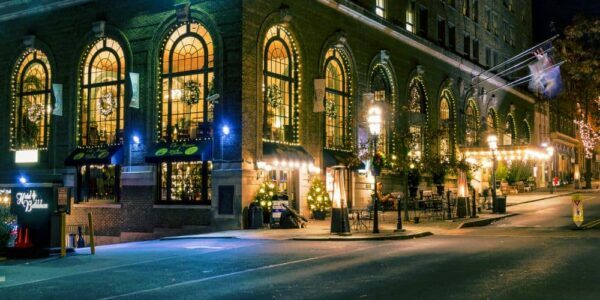 Don’t miss the candles in the windows of the historic Moravian buildings, the lit-up Moravian star in the church’s bell tower, the glimmering lights from the Hotel Bethlehem, and the ambiance of the downtown shops. While it might be tempting to stay somewhere warm after dark, don’t miss the chance to really experience the Christmas beauty of Bethlehem, Pennsylvania. The holiday season is a popular time to visit Bethlehem, Pennsylvania. Because of this, the historic Hotel Bethlehem in the center of town may be sold out. 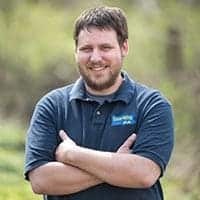 If it is or if it’s a bit out of your budget, check out the Comfort Suites on the opposite shores of the Lehigh River. Located less than a mile from downtown Bethlehem, it’s a short drive or walk from the top attractions in the area. I was recently invited to stay at this hotel and appreciated its cleanliness and comfort. 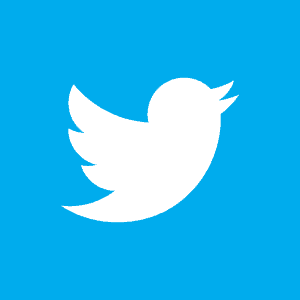 Read more reviews on Trip Advisor or check current prices here. 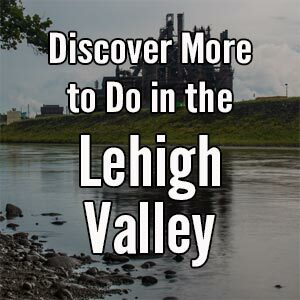 Looking for other things to do in and around Bethlehem, Pennsylvania? 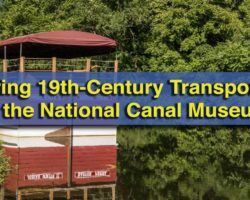 Check out the National Museum of Industrial History or walk the Hoover-Mason Trestle. 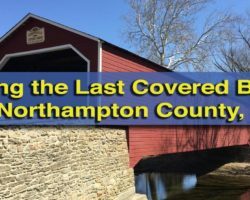 Other great area attractions include the Moravian Historical Society Museum and Martin Guitar Factory Tour (both in Nazareth) or the Mack Trucks Historical Museum and Allentown Art Museum. Thank You for the Lehigh & Keystone Valley Model Railroad Museum Post. You’re welcome. Really enjoyed my visit.